Not So Polite Dinner Conversation – We ate that apple or did we? Recently, I found a post on another blog about what Christians could learn from atheists. This was on a blog for self-described millennial Christians. It was an article written by John Garay, who has his own blog. It was an interesting post, with some honest compliments but most the usual claims of how “rebellious” atheists were and how sinful that is. It also underlined just how much Christians are completely sure that those “other” Christians are entirely wrong (whether to follow those pesky commandments is a sticking point for Christians). Each generation is sure that they are the ones who have it right, entirely unaware that their attitude is nothing new. We went through this in the 80’s where evangelicals thought they had the right answer, and now they are seen as the staid and ignorant old guard by these new Christians. Of course, the new Christians have the same issues as the old, especially when it comes to their shiny new magic decoder rings that they are sure tell them what their god “really” meant. It’s good to “do good,” simply because it’s the right thing to do. Love is best experienced when you love someone simply because of who they are, not for what they believe in. The opinions of others are never a “good enough” reason to cause you to doubt what you believe. (which is nice but misses the point that atheist often don’t have opinions, but facts which Christians do not). Which are all pretty good things. Then we have this, as the author’s response to someone who thinks atheists are “evil”. Hmmm, nothing new there at all, the author agreeing that us atheists are “evil” and “rebellious”. One would think that the author never actually chatting with an atheist, despite his claims of having atheists as friends and family members. Now, since the bible says that all humanity knows what good and evil are, from that fruit episode, I know I’m not evil. It’s interesting that Christians would continue to claim this if they know the same good and evil too. So, for that apple, we have had a multitude claims of what evil and it changes every generation or so. The most bizarre thing is, that this god never wanted us to know good and evil at all. We were to be obedient, nothing more. If we know good and evil, well, then we might use that knowledge to question. And happily, some of us do. I had commented on this blog and pointed out that despite what some Christians thought, it was no compliment to be compared to their god and to be told that their god was “in” us too. That, unsurprisingly, was not accepted well. I was also told that I didn’t understand Christianity or the correctly. What the different is between them asking me what amounts to the same question seems to be no more than they have to actually make a statement and have it open for criticism. This is not a new answer from someone who was sure that they could discuss something with an atheist. It could be very nearly verbatim from one of a hundred Christians I’ve debated over the years. And it entirely misses the point of what the blog post’s author said in his third point. This ended with claims that I somehow hate this god, hate Christians, that I only want to “win”, false claims that I wasn’t willing “even attempt to understand one another”, that I don’t correctly interpret the bible that they claim other Christians don’t interpret correct and can’t tell me why I should accept their version, etc. I’ve toyed with the idea of writing down the usual steps of how a discussion goes with a believer since they almost always hit the same marks when they realize that they may have to think about and defend their claims. So, as history has shown, we get new versions of the supposed objective truth multiple times a generation, and each sect is sure that those others are wrong, in most, if not all religions. Now, Christians, tell us: what makes you think your god is real and all others aren’t? Anything you find the strongest answer? And why should we accept your version when you won’t accept each others? Why do you find these questions and the existence of atheists so terribly threatening? You wonder why people are leaving Christianity. Behavior like this certainly can’t help. Addedum- Mr. Eli has replied in comments. Consider if you will, reader, if you didn’t know about religion. Would you accept such responses if you were considering joining Christianity? Hi there. I’m John. I appreciate you taking the time to view my blog. The blog post that you are referring to was re-blogged by a number of bloggers. This surprised me. The purpose of my blog is to share my personal journey through shame and triumph. It is not a bible study or a place to proselytize my beliefs. It is simply a place where I share my life journey. At times, I include some of my friends in sharing stories of their journey too. Interestingly enough, I have friends from all walks of life. Some of them claim profess to follow a set belief system, some follow a mixture of belief systems, others are agnostic, and some state that they have no belief in any spiritual entity. There is mutual respect between all of us. I don’t argue belief or lack of belief. I believe it’s disrespectful. I usually frown on anyone who mocks the belief or lack of belief of others. I usually silence that right away. I’m actually not a fan of people making fun of anyone. However, if someone sincerely has a desire to know more about my journey (that includes my faith), then I will share it. Anyhow, know that I respect your stance. You have the right and ability to live life and view it as you choose. All the best on your personal journey. Thanks for commenting here. In that you call atheists evil and rebellious, this is why I don’t quite buy your claim that you respect atheists or that you don’t argue belief or disbelief. I do have a question, do you believe that asking for support for claims being made to be “mocking” religion or “making fun” of a believer? I’m also curious if you mean respect or politeness, when you claim mutual respect between you and your friends. I have found very many believers, especially Christians, who seem to equate respect with blindly accepting what they say and not daring to bring up the problem with their claims. You also seem to qualify your willingness to discussion belief with someone by saying that they must be “sincere”. I’ve had that thrown at me before, when someone didn’t want to address my questions and insisted that I was not sincere, making a false claim about me. I am interested in why you think atheists are evil and why you think we are rebellious. I will preface my response by stating that I believe that we, as human beings, do not see things as they are, we see things as we are. We have a tendency to interpret the events of life through our experience, beliefs, and values. It’s what we call a world view. I believe that it’s safe to say that both you and I have separate word views, and the way we approach life and conversation will be quite different. In your response you state that I called atheists evil and rebellious. However, I believe that you misread my original post. In my original post I state that I believe that evil and rebellion is part of human nature. (For example; you don’t have to teach a child how to lie, they will by nature lie). The statement that I made is a tenet of my faith. This is my personal belief about humanity as a whole (including myself). My belief is not based on the religious participation or affiliation of anyone. I take ownership of this belief as being my own, and won’t hold it against you if you believe something different. In regards to respect and politeness. I believe that it is completely possible to have someone that doesn’t hold the same worldview as you. My best friend is not a Christian and does not believe in a higher power of any sort. He respects the fact that I do. I respect the fact that he doesn’t. There are many other aspects of life that we connect on. I believe that the assumption that all Christians are out to tar and feather anyone that does not embrace the same is inaccurate. On the same note, I know many atheists that do not interact with people of faith in the same manner that you do. For me to expect every atheist to be like my friends, or to respond in the manner that you do would be a logical fallacy. On a note not related to faith, I’d be interested to know what motivated you to engage in conversations with people who can be best described as insignificant to most people. I’m not anyone of importance. I will probably never meet you. My life will probably never have an impact on yours. Nevertheless, you felt the need to respond to a no one like me. Yes, I realize that you think that humans see things as we want, and to a point that is true. However, this doesn’t mean you get to claim your opinions are facts when you have no evidence for them. We do indeed have separate worldviews, and again, unless you have evidence to back up what you believe, it’s nothing more than opinion at best and fantasy at worst. You do believe that being evil and rebellious is part of human nature. I’m not sure where you have the idea that children will lie automatically. I’m not aware of any data that supports this. It also doesn’t mean that there is some “evil” that makes them do it, only the desire to get out of punishment or perhaps get a reward that they didn’t deserve. Animals will do the same thing, deceive to get something they want. Evil, to me, connotes the religious belief that there is some magical being that is malevolent, malicious and somehow gets pleasure out of harming people, that somehow causes human actions. This is required in Christianity because without this claim of evil, your god has nothing to do. The second creation story in Genesis would be meaningless and then your need for salvation would be meaningless. Theists appear to need evil as an entity to feel superior (chosen) to others for having the “right” ritual and belief to become “good”. Happily, I don’t need a carrot or stick to be good, and humans are neither evil or “fallen” in the religious sense. We are just humans, and by and large we are benevolent to our fellows, despite the need of religion to make the “other” the enemy because they don’t agree with us. As for your claim that your belief in this evil humanity is not based on religious participation, well, I call nonsense on that. It is no secret that you got this belief from Christianity. It doesn’t matter if you would hold this against me, because there is to show that I’m wrong. It’s like saying “I won’t hold it against you that you accept that green plants contain chlorophyll when I believe that they contain molten gold.” That’s nice but it doesn’t make your belief true or equal to mine. I will have to say that the claim “my best friend is not a Christian” does remind me of people who insist that their best friend is some particular person who the claimant has been seen to be hostile to. Do you and your best friend ever talk about religion? If not, that’s the choice you’ve both made. I don’t see that as respect but as a tacit agreement not to talk about something that could cause conflict. I’ve had friends whom with I’d happily debate religion. As for any claims that *all* Christians are out to “tar and feather” anyone who doesn’t agree with them, I haven’t made that claim. If you think I have, please show that to me and I’ll happily retract it. What I have claimed, and can show evidence for, is that many Christians have caused violence to those who do not agree, have caused grief to those who do not agree (e.g. my maiden aunt who couldn’t marry a Catholic because of sectarian hatred), and who go out of their way to claim that anyone who is not like them is evil and/or rebellious. Yep, some atheists and some non-Christians don’t bother with theists. It would indeed be a logical fallacy to say all “x” are the same. Since I didn’t say that, it seems you may have created a strawman argument, either intentionally or unintentionally, when you claim that I have said that “all” Chrisitans are “x”. I’m sorry you see people to be insignificant, including yourself. I think anyone who makes questionable claims should be addressed, especially if they disparage me and mine when they do so. No one has the right to make baseless claims to take the ability to make an informed decision away from others. So, if I have the time and resources, I’ll comment and correct. I am curious why you think I should not correspond with people like you? I’d like to respond to your statement that I don’t get to claim that my opinion are facts when I have no evidence for them. There is a lot to unwind in that statement. First, I as a living member of the human race, have the right to claim anything I want to claim. Nothing prohibits me from doing so. In some countries, what I claim can be considered illegal. In that case I would have to be willing to pay the consequence. However, I never claimed that my beliefs have evidence. In fact I will state the opposite. My walk of faith is believing in something that I can’t see. Nevertheless, it is my life philosophy. It is how I make meaning of life and I’m grateful for it. The next thing I will address is your constant use of the words, “I” and “to me” in your dialogue. While I recognize that those words share how you make meaning of life, they do not impact my life or the life of those around in me in any shape or form. I recognize that there are plenty people of faith that would automatically want to engage in pointless banter and arguments to try to devalue your stance. However, it probably would not sway you and it would be wasted energy on both parts. You can call me Vel. You can see that info on the “the boss’s office” section of my blog. I disagree that any human can claim what they want to claim. That is not the case that anyone can lie about anyone else, or spread false information. That you think you can without question is a little disturbing. Hopefully your sense of empathy and of being interested in the truth would prohibit you from trying to spread false information for your benefit. Yep, in some countries what you say could be illegal, but if you need a law to control yourself, then I personally find that unfortunate. You have claimed that atheists are evil and rebellious. Are you admitting that these beliefs have no evidence because you believe in something with no evidene? And if they have no evidence, why would you make such baseless claims against other people? I also find it hard to believe that you do believe in something you can’t see when you need to have evidence of this god by physical events that you claim to have had. You point to events to show you have a “blessed life”. You claim prayers always help, but require confirmation bias to do that when prayers fail for you and so very many others. “Look I’m blessed, but heck those folks down the road, well, they must not have prayed right.” You say this in one of your blog posts “I can always trust God to answer my prayer.” But you offer the same excuses when those prayers fail. That god has a “different” answer, that god says “wait”, that god knows better than you. And all of these things aren’t tracking with that Jesus Christ said (a prayer will be answered quickly, with what is asked for, and positively). This is why I don’t believe you just belive in what you don’t see. Well, this is a new one, you are unhappy with me using the words I and me, in a discussion. Nice to see that you have come up with a great way to insist that you don’t have to listen to anyone who uses common words. I don’t know, John, you use those a lot too, so am I to just ignore what you have said? I won’t since I find that ridiculous. In my discussions with theists, they often make a false claim that I would not change my mind. This appears to be an excuse on why they don’t answer my questions, questions that they should have easy answer to. Why do you use this to avoid addressing my points if you do have the truth, John? I’m sorry you think discussing your claims is “pointless banter”. If your claims are true, one would think you would find it important to “devalue” my position since you do believe that my soul is at risk, corrrect? Well, I can understand why you don’t find it important to try to explain what you believe. It’s easier for anyone to ignore problems in what they claim is true and to consider that they might be wrong. Again, this is this is why I find it important to counter the claims of those who think that they have the right to ignore facts and push their own beliefs for their own benefit. I know I’ve driven more traffic to your blog. I always want to make sure that people can get the original source with no complaints from anyone that I somehow altered “context”. A lot of theists have cited my blog and driven traffic to it. How many of those who have visited your blog are those who disbelieve you and are looking to just see how wrong you are? As for discrediting Christians, I have to do little but post what they say and how they act. Not exactly very Christ like with their tendency to bear false witness. Do you and your best friend ever talk about religion? do you believe that asking for support for claims being made to be “mocking” religion or “making fun” of a believer? As for any claims that *all* Christians are out to “tar and feather” anyone who doesn’t agree with them, I haven’t made that claim. If you think I have, please show that to me and I’ll happily retract it. How am I evil, John? Just because I don’t agree with you and your version of Christianity? And if all humans are evil and rebellious, at least those who don’t agree with you, why are we still around in civilizations, helping each other out, etc without needing John’s Christian god? That’s actually a really cool name. I’ve been responding to you rather quickly during breaks at work. I had read through “The Boss’ office” rather quickly and missed that. Your responses are always packed with deep thoughts and questions. I will do my best to address them. You started your response by refuting my statement that anyone can claim what they desire to claim. You mention that I think that can is rather disturbing. What is seen here is an opinion made on your behalf. I gather that you personally do not appreciate or approve of anyone that makes a claim that does not align with what you perceive to be truth. However, that does not remove the fact that you live in a world that is full of people who are biologically capable and free to voice what they choose. Your lack of approval does not take away that truth. Whether or not there is accuracy in any claim is another topic for discussion. Reading through your latest response demonstrates that you’ve made a number of assumptions about me without much knowledge of me. 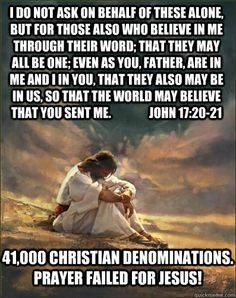 It seems as if you have grouped all people of Christian faith and assume that each subscribe to a set of beliefs. Assumptions were made on how I define the word “blessed” and on my personal approach to prayer. You describe them in a way that is foreign to my approach to God. They are not aligned with the theology that I ascribe to, so I don’t know how to respond. In your response you also questioned my belief in a god due to not having physical events that I claim to have had. As of yet, our interactions have not included the sharing of any of that nature yet. However, I will state that the need to have tangible proof to have faith in a higher power is a person requirement that you have set for yourself. It is your personal standard. I respect that you have made that decision. On the same note, I respect that fact that other are under no obligation to hold the same stance….. in fact there is a world full of people of faith that don’t hold the same stance. Some of them ascribe to belief system that is similar to mine, others do not. Once again you question why I belief that atheists are evil. As I previously stated, you took my words out of context. My original post stated that I believe that evil and rebellion are part of our human nature. I also stated that I believe that we all (the human race) express evil and rebellion differently depending where we are at in life. My statement included myself. To say that I brutally attacked atheists using this statement is a misinterpretation on your part. If you were to ask me if I believe that you are evil and rebellious, I would say that I do believe that. However, my statement is not based on your atheist worldview. It is based on the fact that you are a human being. However, that’s my belief, not yours. This is the second time that I explain this and I am reserving the right to no longer discuss this tenet of faith that I believe. In your response you also stated that I must be unhappy that you used the words “I” and “me.” Once again you took my statement out of context. I never once mentioned that I was unhappy. On the contrary, it takes a lot to upset me. I’m so upbeat that I annoy myself sometimes. What I was alluding to was your use of opinion and belief as a fact. While you are entitled to hold fast to your worldview, no one on this obligated to hold the same stance or sentiment. For example you refer to my “unhappiness” (which was an assumption) as being ridiculous. That sentiment is yours. There is nothing that I can do to change your feelings or mindset. Currently, I’m not at a place in my life where I would adjust it to please someone that I don’t really know. It is what it is. As I view your page you go into detail to let the reader know that your opinion reigns. That works perfectly fine on your page. However, I would dare to say that, although people may listen to you, not many will accept it as authority over their life. One thing that I’ve come to understand is that us, as human beings, are story making machines. We are constantly creating stories to interpret what we see before us. In life there are the events that take place, and there are the stories that we tell ourselves about what happened. When we buy into the stories it gives us power and a position where we can hold others accountable for pain and hurt. Our stories give us a platform to argue, to hold on to resentment, and to discredit. (I know because I’ve created some of my own) After I read through your testimony, it gave me additional insight as to why you believe the way that you do. The situation that took place for you sucked. It was a horrible experience. However, your personal experience doesn’t impact my reality in any shape or form. I also cannot use the experience of another human being as a foundation for my personal worldview. It’s an unwise thing to do at any point in time in anyone’s life. Finally let me answer your questions. Yes, my best friend and I have had a million conversations regarding belief and worldview. We both have shed tears over many things together. Some of the conversations were uncomfortable. At times we hurt each other, but in the end, true friendship stands. He is one of the most supportive people that I have in my life. I don’t believe that asking for evidence requesting claims is mocking a believer. I just think it’s a jerkish thing to do. For example, if you invited me over to dinner, I wouldn’t stand in the middle dinner and ask if I could bless the food. It’s disrespectful, it was in my home (Notice, that I didn’t blast your page with bible verses). I will assess, and I can be wrong, many people of faith will demonstrate unwillingness and a lack of desire to answer your questions based on your approach and communication style. I know it sounds forward, but you are brash, abrupt, and opinionated. You own that fact on your blog. However, when you are in someone else’s home… you might want to be on your best behavior. And for the record, I never stated that you had stated that all Christians were out to tar and feather atheists. Once again, assumptions were made. If there is one thing that you would want for me as a Christian to know, what would that one thing be? Thanks, John. Don’t worry about reponse time or number of responses. And yep, I do get a little…ahem, a lot… wordy sometimes. I appreciate the time you take. In that you cannot show that your claims are true, yep, I do not approve of people making baseless claims that cause harm. I am going to guess that you may agree with me, but with the exception of certain things, e.g. your religion. You seem to be making a free will argument, and I do not believe that there is free will; it seems like there is because we cannot consciously keep track of what influences us. People can indeed voice their opinions; that doesn’t make them true. Nor does that absolve anyone of making a baseless claim and its ramifications. I have made assumptions about you but not without consideration of the facts and context. I didn’t randomly pick out attributes. The question is: are those assumptions accurate or not about you? You don’t seem to be rejecting them, only claiming I might not be accurate. When I see a self-professed Christian say “blessed”, I use this definition of the word: “bringing pleasure, contentment, or good fortune” from Merriam-Webster, and based on the context you used the word in. Is this what you meant? If not, and you are using non-standard definitions for some reason, I’m afraid that certainly would make it hard for me to know what you are saying. As for prayer, you are right, I don’t know how you exactly see prayer. However, I know what the bible says about it, and am operating from the assumption that a Christian would follow what the bible says. Having been a Christian myself (Presbyterian), I am familiar with Christians and prayer. What theology *do* you subscribe to? I’ve read your blog so I have seen you claim physical events having happened. I have no more made the choice to require tangible events to have faith, than the folks of the bible, or, Christians when they don’t believe in other gods. They require this evidence too. Gideon, Thomas, the exodus, etc, this god had no problem in showing off. Why no longer? And why do believers of one religion insist that the same claimed made by another religion aren’t true? Because they have no evidence. I know that believers range all over the place in what they require. This is another reason why I find belief nothing more than human, and no god required. We see you agree that atheists are evil with this woman, and yes, saying that it is part of human nature. However, I am asking why am I, as an atheist, evil in your belief system? Why are all people evil unless they accept your version of your religion? I didn’t say you “brutally attacked” anything, but you did say that atheists are evil. If I am evil just because I am human and not Christian, that is indeed your opinion. However, again, that is just defining “evil” by might equals right, e.g. we dare to not follow your version of god and thus we are “evil”. In that the bible repeatedly says that evil things should be destroyed, you may see my concern here. Humans certainly are story making machines. We want to know “why” and happily invent all sorts of things to convince ourselves we know. That’s where myths come from, including Christianity’s stories. They are not based on facts but on what we want to believe, in the context of how little or how much we know. I see you’ve taken my why I’m an atheist story and now want to assume that it is the tired old theist claim that atheists only come from being unhappy with the church. That wasn’t the reason ended up with the conclusion that there is no god. I ended up with that since there is no evidence this god exists and plenty that shows it does not. No supernatural genesis and a rib-woman, no flood, but plenty of other things happened that we have evidence for; no exodus but plenty of other things happened, no cruxifiction or resurrection but plenty of other things happened. My personal experience does impact your reality since I’m here, and I’m an atheist. Atheists exist, aren’t “evil” and show that your beliefs aren’t quite as factual as you think. Yep, true friendship stands. Is your friend evil? Is he worth damning to eternal torture as your bible says will happen? Or are you perhaps a universalist or some other variant on that afterlife belief? So you think that asking for evidence of someone who makes a claim, a believer is a “jerkish” thing to do. Why? Do you find it is a “jerkish thing” to ask a white supremacist to support their claims? You may not ask to bless the food, but plenty of Christians would and do and wouldn’t even ask. This makes it seem that if you make a claim, you think no one should question it. Is this correct? And yes, I am opinionated and I support my opinions with facts. I am direct and don’t see the point of trying to placate someone who has made a claim when it is baseless. I am brash, having no problem in daring to point out that sacred cows are there to be tipped. And I know, many Christians are shocked that anyone dares to point out that they could be wrong. That comes from a long time of privilege, when Christians could kill someone because they dared speak out against them, where I could have lost a job or my children because I dared not be the “right” religion, where “blasphemy” was (and is) still a crime. As for what you said about tarring and feathering all Christians, well This is what you said “I believe that the assumption that all Christians are out to tar and feather anyone that does not embrace the same is inaccurate.” Whose assumption are you talking about, John, so I may be clear? Non-believers are happy, humane, decent, empathic, honorable people, no different from anyone else. We are the evidence that no one needs a god of any type to be “fixed”. Now, to address your second post to keep the threads untangled. I am fascinated that a Christian would ignore the great commission JC talks about. However, since Christians do pick what they find most important, this would be no different from the rest. You seem that you may be someone who believes in predestination? Being a former Presbyterian, I can see that from the bible. Some seeds won’t take, and per the bible because this god wants it that way. This is why I find free will arguments from Christians unbiblical, and thus just one more way that Christians change the bible to fit them. As I expected, you want to make false claims about me again, which you are of course free to do. Many Christians pull out the claims of “sincere” and “genuine” when they don’t want to discuss their religion anymore. I know that your bearing of false witness doesn’t make much difference but I do wonder how it works for someone who does believe it does. As you know, John, some atheists don’t care to talk to theists about their reason for not believing. Remember, you came here. To play the “shocked, shocked” captain of police doesn’t work. Have you told your friend that you thought he was evil? Do you think he’d respect that? most parables have god killing the non-believers. This one has believers doing the dirty work. Reading the bible myself also gave me reason to conclude that there was no god and that if there was, I was more moral than it. I’m going to take a quick moment to give insight onto why I haven’t gone into depth about my theology. However, I don’t really feel a desire or a need to share it. For example the word “bless” is the English translation of 7 different words used in Aramaic, Hebrew, and Greek. In the culture that we live in, most Americans will take a stab at defining it the way that people would use to describe the American dream. I don’t view it that way…. And I honestly don’t want to exert energy on creating a discourse about it. When it comes to my posture on prayer. There are many things to take into account such as the type of prayer, the timing of prayer, the reason for prayer… I could go on and on.. but I don’t feel the need or energy to do so. You question my stance on the great commission. It is simple. Jesus said to go and make disciples. I don’t believe that I am called to make church attenders or to grow a social club. Rather I’m called to invite people along on a journey of faith. To disciple means “to teach”. Disciples are students. When Jesus called the 12 disciples to follow him he simply said “follow me” they followed. With that said, I’m pretty sure that if I were to ask you to follow me right now, you’d probably laugh, say a few choice words, and send me on my way. When Jesus called his disciples to follow him, they were at a place in their life where they were ready for the invitation. When calling others to discipleship, I look for the same. I have to admit. I groaned when I saw you questioning my stance that I believe all human beings have an evil and rebellious nature. Then you mentioned that you were a former Presbyterian and I literally rolled my eyes. I’m not Presbyterian, but I know that reformed theology teaches on the total depravity of mankind. I will say this again, I don’t believe that “being atheist” is what makes you evil and rebellious by nature, I believe that “being human” does. I don’t believe that being part of a Jesus club makes me immune from my evil and depraved nature. No, I’m owning that I have an inclination to do wrong. I’m far from perfect. And, without hesitation, I have no problem claiming that you are not perfect either. With that said, I’m not accepting responsibility for any story or interpretation that you make out of that. And back to the story of my atheist friend and what he may think about my beliefs of the total depravity of mankind…. I will give you this scenario. Let’s say you, a Muslim, a follower of Baha’I, a Roman Catholic and I (a Christian) are hanging out together. At that moment I am surrounded by a person that believes that I am an infidel because I do not follow the 5 pillars of his faith, another who believes that I will spend an eternity distanced from God because I do not follow Bahá’u’lláh, another who believes that I am destined to hell because I have not kept the sacraments of her faith, and one who thinks I’m absolutely foolish because I believe in a higher power…. Let that sit for a moment? How should I interact with them? Should I run? Should I tell them all that I’m right and they are wrong? Do I bully them? Should I publicly humiliate them? Should I rejoice when I embarrass them?…. Here’s the thing, I’m faced with this scenario every single day. This describes where I’m at in life…. And I choose not to dislike or cause others pain, simply because they don’t like what I believe, the color of my skin, or any other attribute. Heck I’m me. I love who I am. In this moment I feel loved and accepted by those who matter most to me. They love me despite of my failures and short comings…. And I’m at peace with that. I asked you to share with me one thing that you would want for me to know. You responded, “Non-believers are happy, humane, decent, empathic, honorable people, no different from anyone else” I think that’s a noble think to want me to know. I know many people who fit this description perfectly. However, I will say that your communication style and representation of yourself on an online platform doesn’t quite fit this description. Simply the name of your blog (and the bragging of it on your bio) shows that you enjoy seeing the pain and misery of others. However, in your defense, I know a ton of people who claim to follow Jesus that do the exact same thing. In fact I ran across some of the posts that “followers of Jesus” left, and their interactions saddened me. In your response you mention that you also wanted me to know that Atheists aren’t broken and don’t need fixing. I want to let you know that I affirm your desire to see that. I don’t believe that I’ve attempted to alter who you are in any shape or form. However, in the same manner, I don’t believe that a person’s belief in a god qualifies them as broken, and in need of fixing either. In my situation, I don’t live life caring about the opinions of others. So even if someone hold that belief of about me, I don’t make it my concern or my responsibility. Conversing with you has been interesting. I purposely haven’t shared much about myself. I haven’t shared that I’m a former clergy-man that walked away from ministry. I haven’t shared any personal crisis of faith. I also haven’t shared that I’ve spent the last 19 years studying and analyzing human behavior (both academically and as a career). Probably, to your dismay, I still am and will continue to be a man of faith. However, you’ve given me insight into how someone with your life experience may interact. I wish you the best on all that your journey that life will take you. I work weekends so am just getting back to this. I am not too surprised that you aren’t interested in sharing your theology, beyond what you already have. You make a claim and you don’t want to deal with the ramifications of calling me evil. I don’t believe in your god because of the lack of evidence. However, considering how your god is portrayed in the bible, i would certainly be happy to rebel against a genocidal tyrant that controls people, and declares that they are evil and deserve to die at best and tortured forever for daring not to obey it. I don’t cotton to “might equals right”. The bible has indeed been translated, and most if not all translators claim that their god helped them to translate. Are you saying that the translators are wrong and are translating the words that come out as “bless” incorrectly. In that you are an English speaker, we are going with what you think bless means. You claim to be blessed and we know what that means from common usage. I’m also not surprised that you now want to add on all sorts of qualifiers to prayer to have excuses why prayer doesn’t work. However, the only ones that the character Jesus Christ gave is that you have to be praying with someone to get whatever you ask for, nothing else required. The inaction of this god requires reasons to be invented to explain why the bible is wrong in its claims. You see, I don’t think you can go on and on about how prayer requires what you claim. It’s always curious that a Christian decides to pick and choose what they want to get from the bible. Having read the bible, I know that Jesus didn’t just say “follow me”. Most of the disciples followed JC because someone else informed them about JC, be it John the Baptist, etc. that they trusted. Your claim that the disciples were at some “place in their lives” isn’t supported in the bible. This making up of explanations is one of the reasons I don’t believe in your religion, John, because it’s little more than what fans do when their favorite tv shows don’t make sense. Now, how you might know if someone is at some special place in their lives also sounds like something you’ve made up based on confirmation bias. Now, what I see here is this sequence: evil and rebellion are part of human nature. This is in response to “atheists are evil”. So, is being human what makes me atheist? Is wanting to rebel makes me atheist? Or is it that there is not one scrap of evidence for your claims about your religion? You want to claim that I’m not perfect, and you base that on a religion that has no evidence to show that it is right or that its god exists. That’s rather silly, and all religions do this, all sure that their religion is right with no evidence. I know you don’t accept responsibility for what you believe, that is no surprise at all. It’s interesting that you don’t find Roman Catholics to be Christians. I’ve known more than a few Christians like that. You are also sure that none of those who you are hanging out with are right either. If no one is discussing their religion, just why would you suddenly bring it up? Now, this analogy fails here since we have you making claims about atheists, the blog I got your post from was making baseless claims about atheists and their religion, and it was what everyone was talking about. Then you came to my blog, where we were talking about religion, where you are shocked shocked that I would ask you questions about your claims. It’s interesting that you find you must insist that I’m not “happy, humane, decent, empathic,” or honorable. Wow. And nice to see you intentionally lie about me when you falsely claim that I “enjoy the pain and misery of others”, intentionally ignoring what I said on my blog. Why did you do that, John? Now, perhaps you know why I would indeed laugh at you if you were trying to invite me to join your religion, when you act like that. Oh well, I had hoped that you might understand that telling someone that they are broken and need to be fixed when there is nothing wrong might not be what you want to claim about others. “affirm your desire to see that”. ROFL. It’s also no surprise that you are a former pastor or have had crises of faith. Priests and pastors are no different from anyone else, and in my experience, often far worst than most. A faith leader needs to convince others that they need help, even if there is nothing wrong. I’m not dismayed at all, you can believe what you want and hopefully you won’t cause harm from that. I just hope you’ll stop making baseless claims and consider my points. Yikes. I apologize for my grammar. So many mistakes. I bow my head in shame. lol. You want to take another stab so I know what you really mean? I apologize for the numerous responses today. However, after I returned back from my break I realized that I did not address a part of your response from earlier. In your post you suggested that “if” my claims are true I should find it important to “devalue” your position because your soul would be at risk. However, on my stance is on the other end of the spectrum. Instead, I have no desire to persuade you or change your mind. I do not believe that it is my duty or responsibility to convince or change you. As a follower of Jesus I am given the challenge of being a witness. A witness is not an attorney, scientist, or theorist. Rather they just share what they have experienced. I also believe that I am called to sow (plant) seeds. And I’m a realist in understanding that not every seed will take. It’s not my responsibility to make them grow. Finally, in the bible we find a story where Jesus sent out his disciples out two by two to prepare the way for him. He tells them that if they are welcomed into a city to stay there and heal the people. However, if they are not welcomed, they are to shake the dust of the city off their feet and go on to the next city. With that said, I don’t spend time sharing my faith with people who aren’t genuinely interested. In conversing with you, it is quite apparent that your agenda is to disprove Christians. I’m assuming that is the purpose that you originally linked my blog post to your page (to disprove me). I on the other hand don’t handle life that way. I’m not the type of person who engages in conversation with an angry street preacher. I’m not one to publicly shame one, or anyone else for that matter. It’s just not my way of living life. I’d rather live out my truth, than to attempt make a spectacle out of others who I disagree with. Quite frankly, I’m not interested in arguing, not about religion or any other matter. I’m pretty settled on what I believe. In fact, I love the teaching, precepts, and lifestyle demonstrated through the life of Jesus. I find beauty in the story of the gospel. It has brought hope and meaning to my life. I understand that not everybody will share my sentiments regarding the teachings of Jesus, but that’s where I’m at. On another note, this morning I had a conversation with one of my college friends from back in the day. The conversation was cheerful and pleasant, as it usually is. It was great running into him. After talking with him, I remembered that he’s an atheist. I remember that quite some time ago we had a conversation about this. I asked him if he attended a church. He said, “No, I’m an atheist.” My response, “Oh wow, I didn’t know.” That’s as far as the conversation went. He never questioned my intention of my inquiry and I never questioned his reason for not having faith. In fact, I don’t hide my faith on social media. There are times that he likes things that I post and I’m sure that there are some that he doesn’t approve of. However, we have common ground. We both have a strong passion to fight for social justice (oh yeah, and tacos). He’s never treated me as if I were less than and I’ve always treated him with utmost respect. I’m glad that I have friendships like this. I believe it’s the way that Jesus would have treated an atheist (and I’m sure that he was surrounded by plenty). No need to take another stab…. the gist of it is there. Trying to type of my tablet is a beast. So, asking on-point questions is mean, huh? evidently. I asked the poor fellow several times what exactly he wanted but never got an answer. I guess it’s easier to play martyr.